HELLO! Im catbananas101 or known as Jackdoctor29. Let me explain what I'm trying to say: I am asking for people to join my team and help me develop the Scooby Doo Client Mod. In my team we have access to the game, we code and test every day, until we get S#@T done. My team is called the MODEX Team, we work every day. 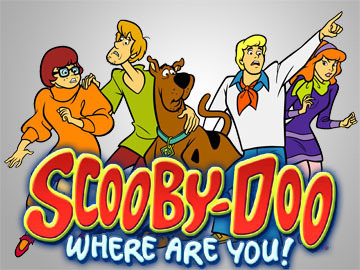 We look at some of the scooby doc where are you episodes, and add the creatures into the game. My goal is to give everyone who loves scooby doo a chance to play the client mod. not only in minecraft but with friends too. no giving people the mod until the beta which is 1.5.7 version is completed. no cursing or swearing or bullying. you can make videos of the mod and release it on youtube, but don't provide links to download the mod. we use a private code snippet sharing site so don't share links to the site. an of course have fun. Now if you are a coder, modeler or sound creator, please tell me on the comments below. now you will have to tell me if you had experience with this type of work, and if you don't go learn how. you play as shaggy and scooby. you play as velma, fred and daphne. Please if y'all like this post please comment and have a good day! Programmers and Modeler positions available! Great idea, who is on your team or how many are on your team currently?